we’d like to give this to you while we are altogether. 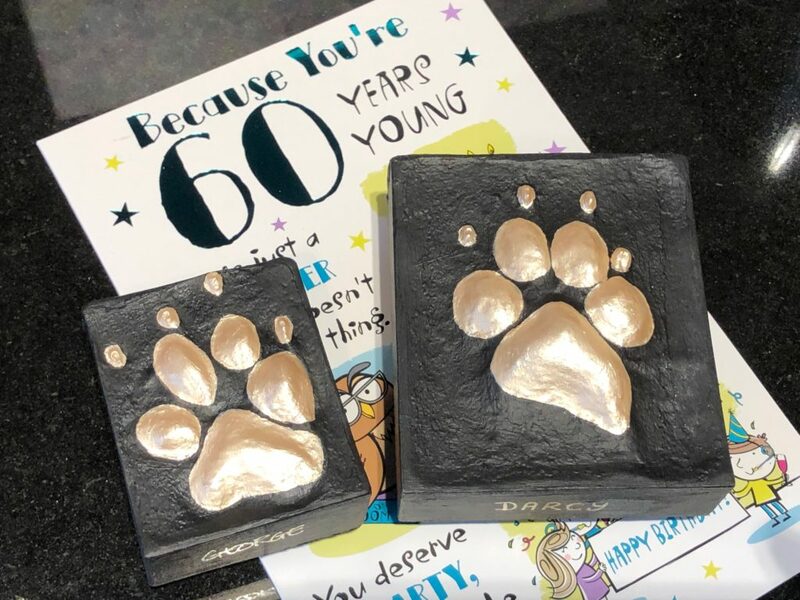 our paw prints made into paper weights. Mine looks perfect but George seems to have wonky nails! LOL! May’s comment: Feeling spoilt. 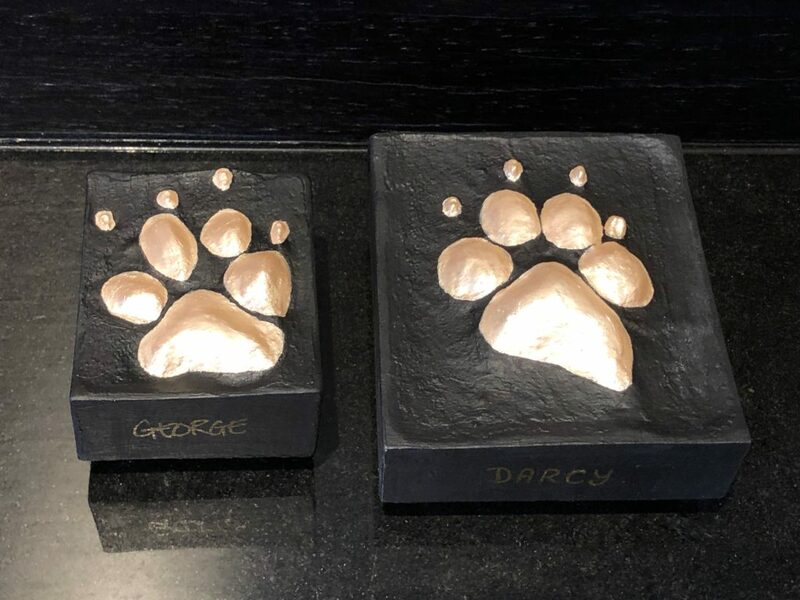 Love these paw impressions of Darcy and George – a birthday gift from Paws4ever. 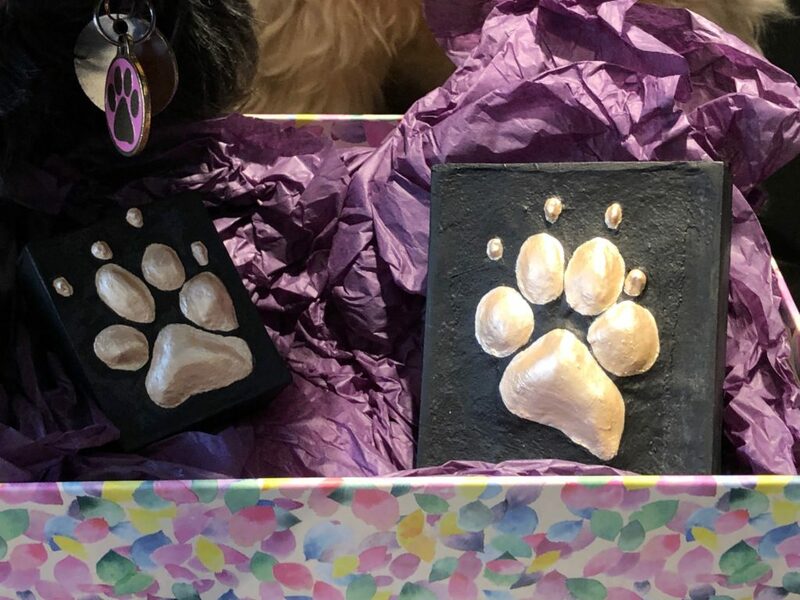 Paws4ever take impressions of your pooches paw, they then create a beautiful, custom, handmade piece of “Paw Art” allowing you to cherish those special paws forever. 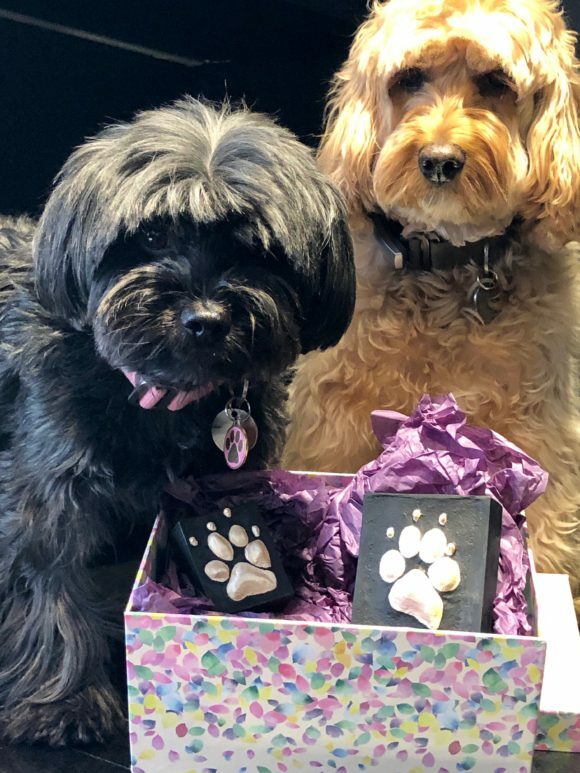 THANK YOU Paws4Ever – these will put a smile on my face every time I see them on top of the pile of things I need to do. Why does everyone make such an effort to remind me of how old I will be?!?!?! What a fabulous birthday present! Those will be cherished keepsakes! Happy birthday May, my husband turned 60 today, too bad I didn’t think to do that from Chance for him as well. Lovely keepsake. Thank you! Paper weights – love the idea! What a lovely keepsake for your special birthday! !